We took our first major trip out of Argentina last week, and crossed to Andes to visit our dear friends Laura, Dan, Grace and Theo in Valparaiso, Chile. The bus ride was extraordinary, if a little tough on the stomach (we got to go down the infamous ‘Caracol’ or snail-a descent consisting of about 24 tight, narrow switchbacks on the Chilean side of the border). It was worth every minute to spend a great four days enjoying friends, food and funky Chilean culture! Valparaiso is kind of like the Chilean San Francisco. Situated in the foothills right next to the ocean, it has that humid, salty air and constant breeze under generally sunny skies. To walk in Valpo as it is lovingly called by the locals, is to test your knees either ascending or descending the intensely steep and winding roads. In fact, to get to most places above, you need to take either steps or the ‘ascensor’-essentially an elevator on the side of a mountain. 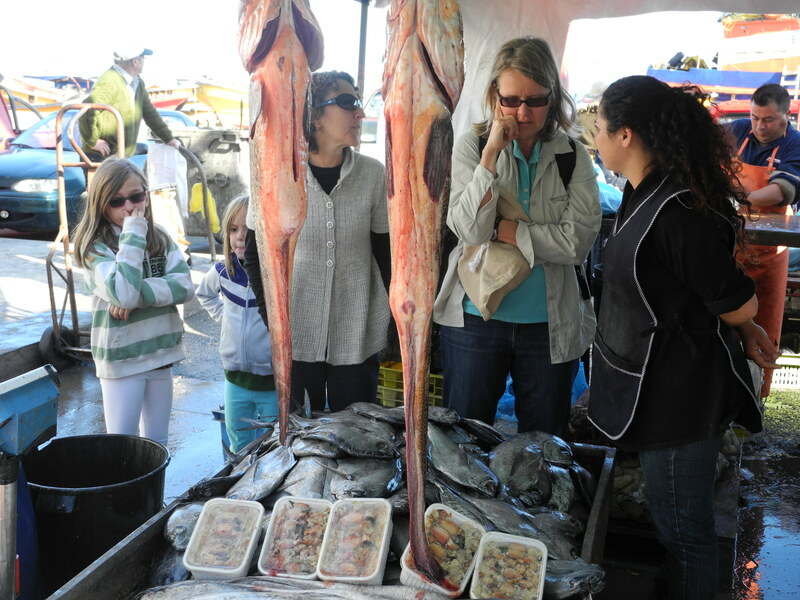 Later we would be attending a gathering with some friends of Lojo and Dan’s, so of course we hit the fish market, and bought clams and a local fish which was expertly fileted right in front of us. An added component of this weekend for me was the fact that Saturday was Yom Kippur-one of the holiest days of the Jewish year when we fast for a day while doing a final inventory of the past year. We ask ourselves what sins have we committed and for which we need to ask forgiveness, who do we need to forgive and how can we set an intention for more empathetic, holistic and engaged relationships in the year to come? Then we hope that we are inscribed for another year in God’s book of life. 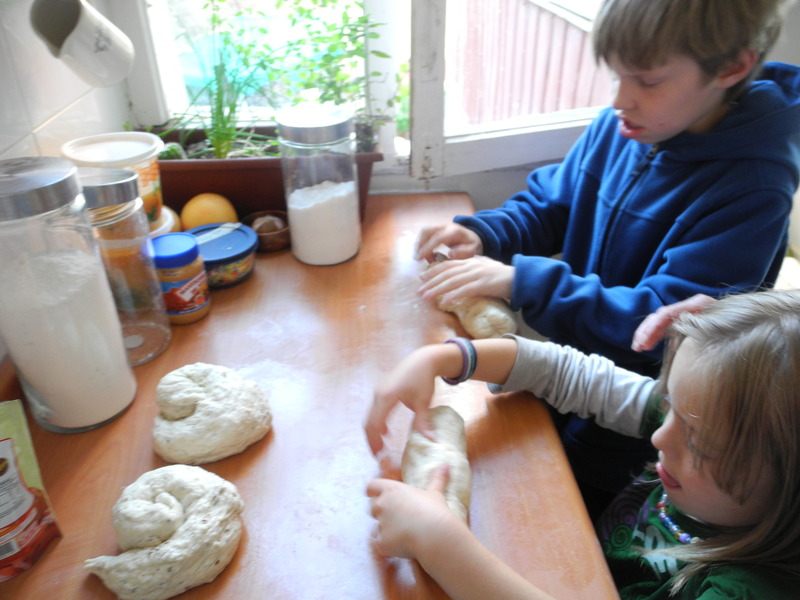 I decided to create a ‘visiting non-Jewish friends in Chile’ version of the holiday, and prepared freshly baked challah which the kids rolled into gorgeous spirals. We brought this along with our fish to Cecelia and David’s house for what would become a glorious evening of wine, food and conversation-we would finally sit down to eat around 11 PM-classic South American meal time. 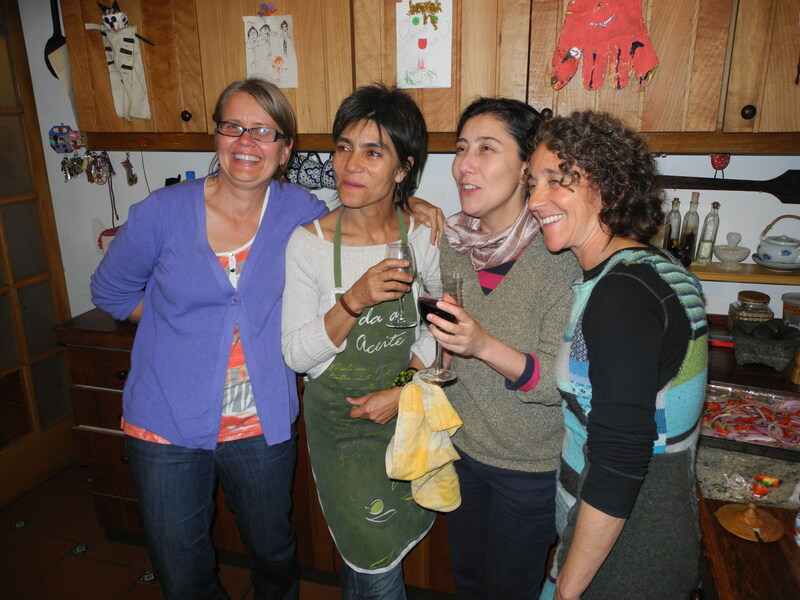 This was my fist time since arriving in the Southern Hemisphere that I was able to share the kitchen with others,while music played and the wisdom of women’s hands created beautiful food. 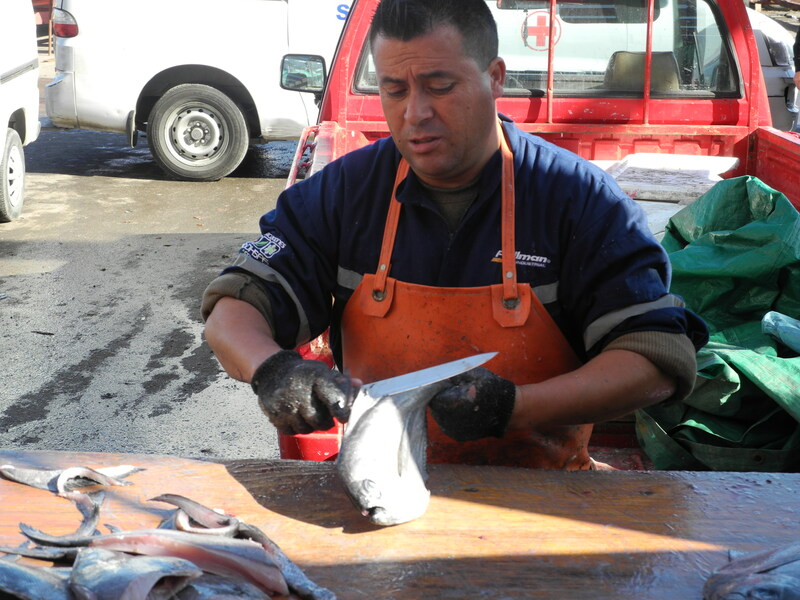 Nuri, another friend prepared the fish. It was simple and divine. 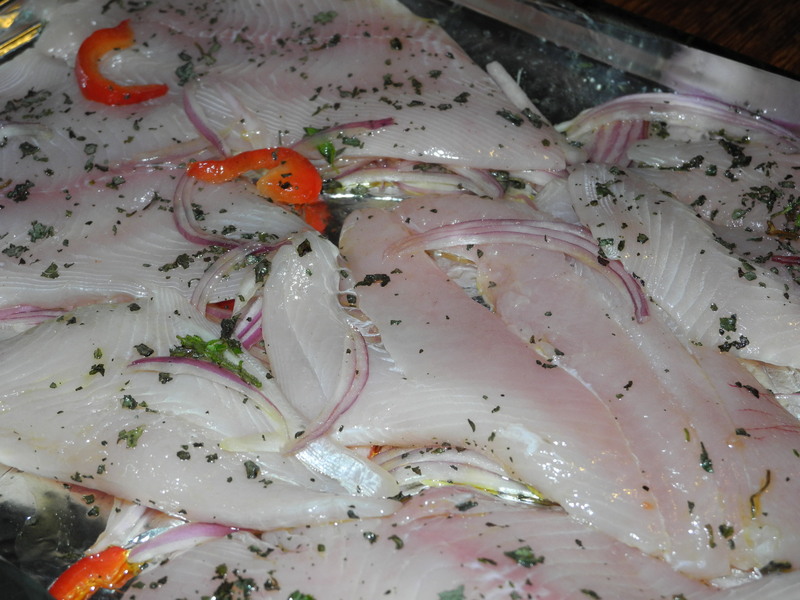 She laid onions and red peppers on the pan, placed the fish on top, sprinkled with fresh parsley, salt and pepper and then covered with cream and baked. Meanwhile, I was assigned the task of preparing Pebre-a very traditional Chilean Salsa of sorts. 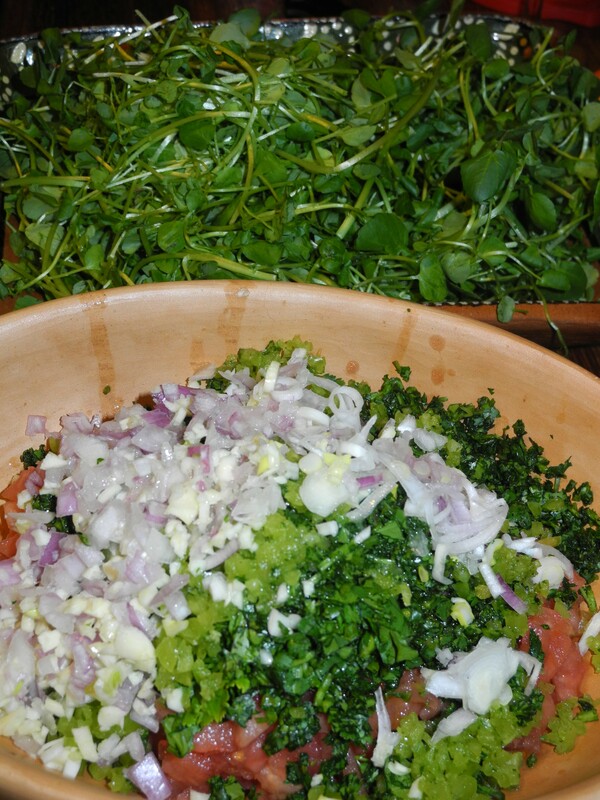 It was a basic salsa recipe-lots of garlic, red onion, cilantro, tomato, lemon and salt. It is typically eaten on bread, an interesting use for our Yom Kippur Challah! 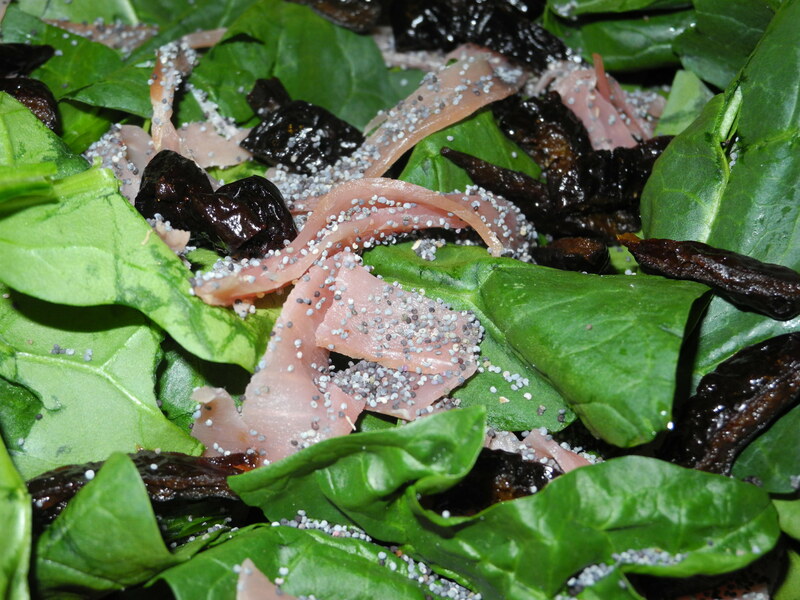 We also had fresh watercress, salad with salty olives, anchovies and pepper in a simple vinaigrette, sauteed yellow peppers and mushrooms seasoned with another traditional Chilean pepper they call “aji”, and of course, potatoes. 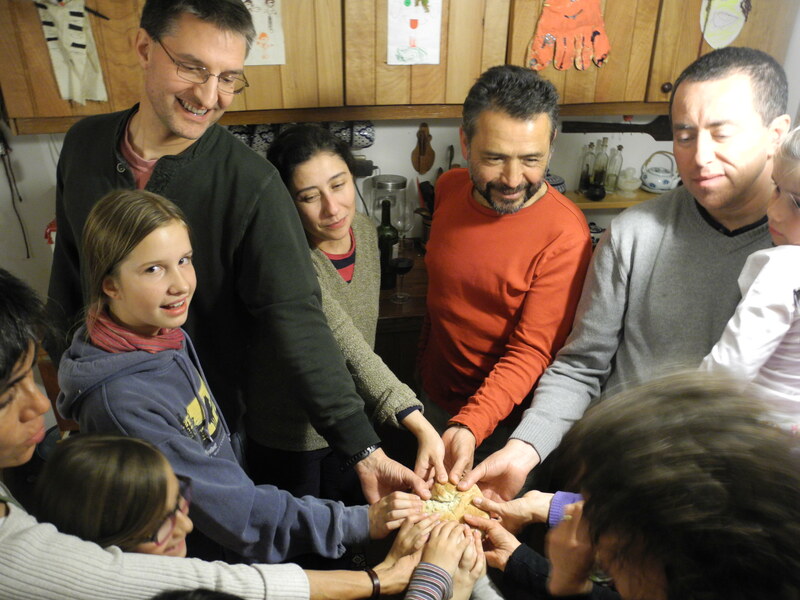 The highlight for me was just before the meal when we all gathered around the challah and grabbed it together. I recited the blessings and explained their significance-a general concept of thankfulness for what the earth has given us, and great appreciation of our opportunity to gather together in community as we all pulled off a piece in celebration. What a great start to the new year! Let sit in a warm place in an oiled bowl for about 1/2 hour until proofed. 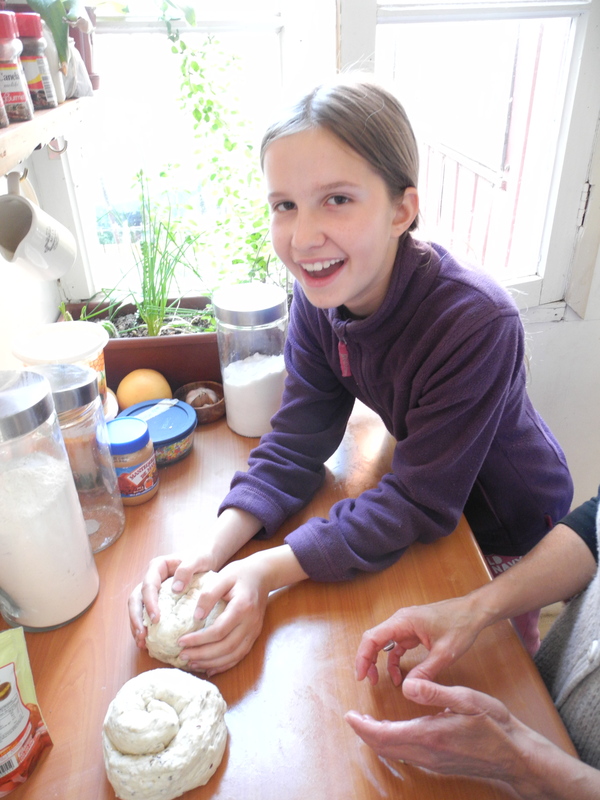 Knead again and roll into long snakes. Form these into a spiral, pinching the end to secure it. Bake at 350 degrees for 30-35 minutes. Brush with egg white or oil about half way through baking.